Riyadh : In this photo provided by the Saudi Press Agency, SPA, Saudi King Salman gives his annual policy speech in the ornate hall of the consultative Shura Council, Monday, Nov. 19, 2018, Riyadh, Saudi Arabia. Salman gave his first major speech since the killing of journalist Jamal Khashoggi by Saudi agents, expressing support for his son, the crown prince, and making no mention of the accusations that the prince ordered the killing. 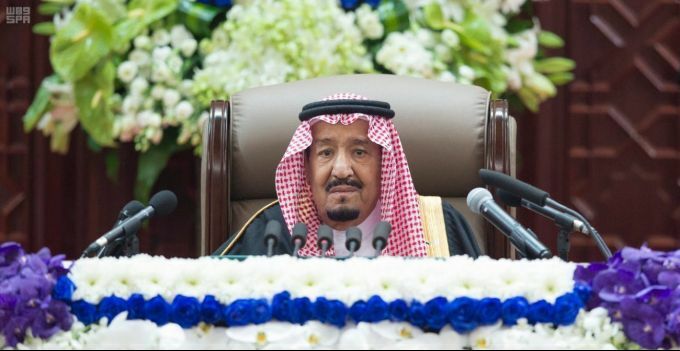 Monday‚Äôs speech highlighted the kingdom‚Äôs priorities for the coming year, focusing on issues such as the war in Yemen, security for Palestinians, stability in the oil market, countering rival Iran and job creation for Saudis. 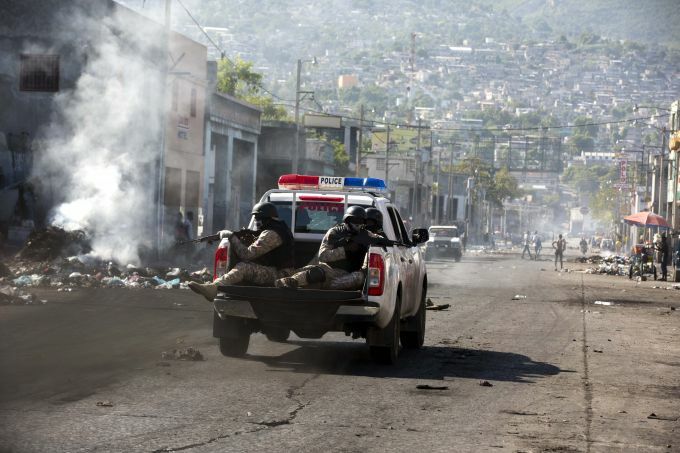 Port-au-Prince : National Police patrol during a strike that is part of protests demanding to know how Petro Caribe funds have been used by the current and past administrations, in Port-au-Prince, Haiti, Monday, Nov. 19, 2018. Much of the financial support to help Haiti rebuild after the 2010 earthquake comes from Venezuela's Petro Caribe fund, a 2005 pact that gives suppliers below-market financing for oil and is under the control of the central government. 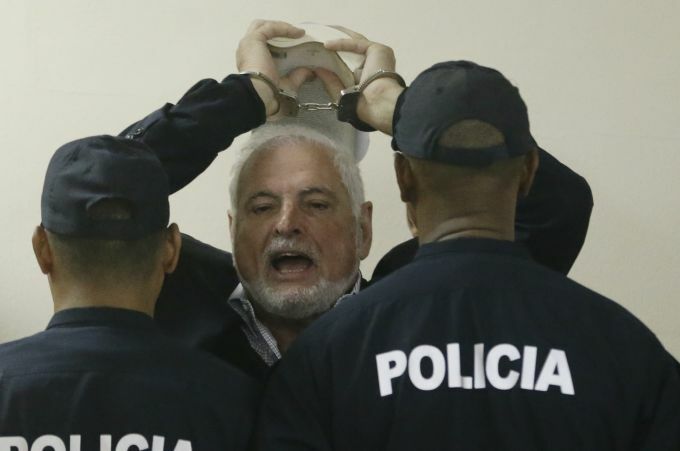 Panama City: Panama's former President Ricardo Martinelli answers journalists questions as he raises his handcuffed hands, holding a book, while escorted by police to a hearing at the Supreme Court in Panama City, Monday, Nov. 19, 2018. Martinelli, who was president from 2009 to 2014, is accused of embezzlement and illegally monitoring phone calls and other communications. He has denied the charges. 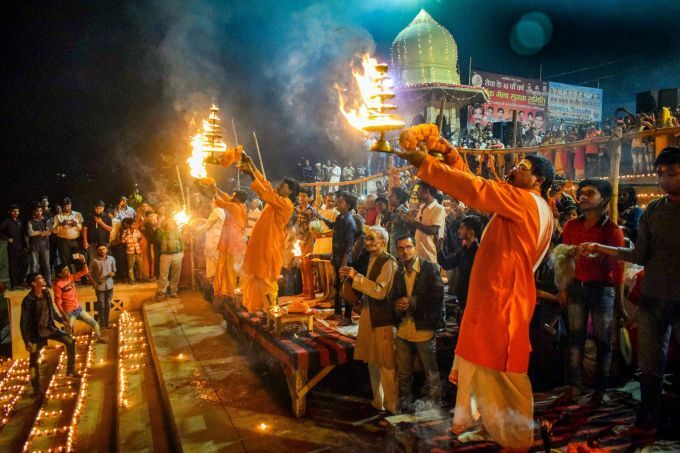 Allahabad: Priests perform 'Maha Aarti' on the occasion of 'Devotthan Ekadashi' festival, in Allahabad, Monday, Nov. 19, 2018. 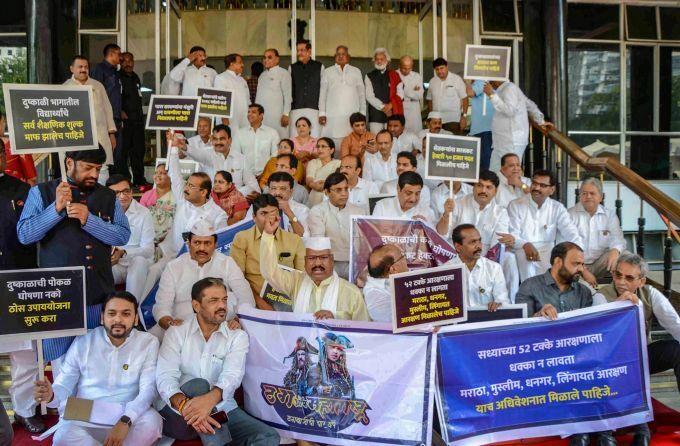 Mumbai: Members of opposition parties sit in a protest on the first day of winter session of the legislature, at Vidhan Bhawan in Mumbai, Monday, Nov. 19, 2018. 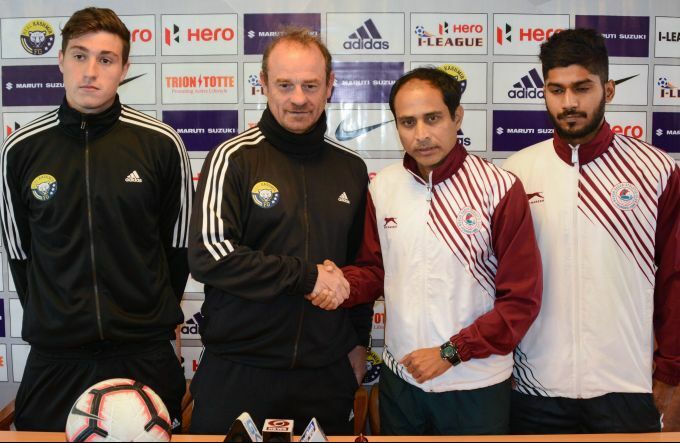 Srinagar: Mohun Bagan coach Shankarlal Chakraborty shakes hands with Real Kashmir FC head coach David Robertson during a press conference ahead of their I-League match, in Srinagar, Monday, Nov. 19, 2018. Also seen are Mohun Bagan team captain Shilton Paul and Real Kashmir FC team player Mason Robertson.